Don't we all, at times, fail to identify a logic to our many affinities in life - be it a political party, a sports team, an online network/ community/ group, a group of colleagues at workplace, a specific set of friends in personal life, a specific group of people from a particular religion/ caste/ country/ ethnicity, etc. ? Well, the list is endless and can go on and on ! The moot point here relates to the existence of our unexplainable affinity (as mentioned in the above paragraph) beyond the factors of right or wrong, success or failure, good or bad ! The above "prejudice" highlights the presence of a bias, known as "Implicit Bias". Implicit Bias refers to the attitudes, stereotypes or beliefs that impact our understanding, actions and decisions in an unconscious manner. Explaining the definition further, Implicit Bias is when we, without our knowledge and awareness, start behaving in a pre-disposed manner towards a certain set/ group of people. Somewhere, our judgement gets impacted under the influence of Implicit Bias. Implicit Bias is an involuntary process and may be based on any number of characteristics and more than 150 types of implicit biases exist. The term "Implicit Bias" was coined by Mahzarin Banaji and Tony Greenwald in the 1990s. In 1995, they published their theory of implicit social cognition which asserted that individuals' social behaviour and biases are largely related to unconscious, or implicit, judgements. Why Does Implicit Bias Occur ? Whether we believe it or not, like it or not, each one of us is susceptible to implicit bias and that's because of the basic nature of our brain. The brain takes in information and starts forming associations and making generalizations. So, its these "mental connections (associations and generalizations)" that are responsible for "Implicit Bias" in us. Implicit Bias is found throughout the brain, whether amygdala, temporal lobes or frontal cortex. The biggest indicator is when we unconsciously start attributing a set of characteristics to a certain set/ group of people. When we become too judgmental about a person/ set of people based solely on one interaction and we let this first impression influence our disposition. "Implicit Bias" has a tendency to trigger dominos effect, where any existing implicit bias at a micro level could create a cascading effect and reach a macro dimension, which could impact the global order and render it disorderly. The "social media" world that we live in today has the potential to magnify the impact of implicit bias manifold and create an unprecedented damage. At a personal and self level, the bias dents the personality severely and blocks the opportunities of growth. A restricted perception and disposition halts the growth of the individual. 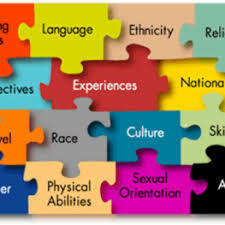 Implicit Bias is not just confined to personal self but affects a whole range of setups like educational/ learning institutions, workplace, social gathering and legal systems. Within educational institutions, implicit bias primarily exist around skin type and gender type, with the key issues being behavioral and subject choices/ preferences. Interpersonal relationships in the organisation, both at inter-team and intra-team level. This ultimately impacts the teamwork and collaboration, which happen to be the backbone of any flourishing organisation. 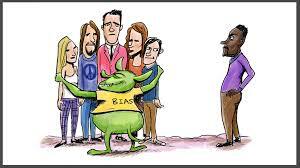 It is also worth noting that a lot of modern day problems (terrorism, apartheid) that pose a great threat to world peace and order are in some way a manifestation of implicit bias. There are plenty of real-life examples of implicit bias occurring in setups like classrooms, workplace, legal system, etc. but one of the most popular (rather viral) is about an incident that occurred on April 12, 2018 at a Starbucks outlet in Philadelphia, where two black men got arrested after refusing to leave, on being told to do so by a Starbucks employee. This incident, highlighting implicit bias, reached such proportions that Starbucks had to issue an apology for its' treatment to these two black men. It may be noted that like with every test, even this test has limitations but is still a good bet for the purpose. Avoid being judgemental by relying less on "gut feeling" and/ or "intuition" and more on "facts"
Living in a technology driven VUCA (Volatile, Uncertain, Complex, Ambiguous) world, where information/ data rules the roost, the best defense we can build up against Implicit Bias is not to over-react towards any "emotion evoking" piece of data/ information. Rather, if we just let the dust settle first, and then provide our reaction, it is bound to be a more balanced and rational reaction. When "First Impression" starts creating a "lasting impression", it's time so start looking beyond for more ! What the above highlights is the presence of overestimation and overconfidence in self and that is quite indicative of a bias referred to as "Hindsight Bias". The phenomenon was first described and studied in 1970s by psychologists while investigating the errors in human decision making. The research on Hindsight Bias started with Fischhoff (1975). During the late 70s, Paul Slovic and Baruch Fischhoff began studying how scientific results and historical events seemed so predictable to people when, in fact, they had no idea about them. 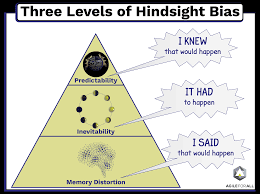 Why Does Hindsight Bias Occur ? According to one theory, Hindsight Bias is a natural coping mechanism that prevents us from facing embarrassment and disappointment. Also, the actual outcomes are easier to comprehend and remember than the many which did not materialise. 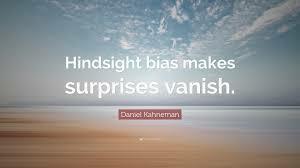 Research in Hindsight Bias provides ample of empirical evidence about the bias's existence in many areas of our life such as Sports, Politics, Education, Military, Workplace and Healthcare. Analyse the outcome with your previous prediction (before event occurrence) and this will help develop a framework/ strategy for future predictions. Things may soon "crumble and fall" if your live with the attitude of "i know it all" ! Remember those moments of internal disagreement with your friends, family, colleagues, boss during some important discussion/ brainstorming/ team meeting/ project presentation, when you begged to differ but still chose to remain silent, simply to appear aligned with the rest of them ? Well, such a behaviour is quite common, where inspite of being a (rational) contrarian and fully aware of the negative consequences/ repercussions of an irrational choice or decision, we still tend to approve of that choice or decision (by conforming to it) when taken in a group setting. This type of behaviour is indicative of the existence of a bias known as "Groupthink". 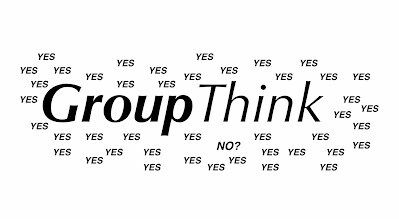 The word "Groupthink" was coined by William H. Whyte in 1952 in an article in Fortune Magazine. Irving Janis, a social psychologist from Yale University is credited with studying the bias. He addressed it in his book in 1972. As per Janis, Groupthink is defined as "a mode of thinking that people engage in when they are deeply involved in a cohesive group, and when the members' striving for unanimity override their motivation to realistically appraise alternative courses of action". Decoding the definition further, Groupthink is a psychological phenomenon in which our need to conform with the group outdoes our need to act rationally and we tend to go with the groups' decision. Why Does Groupthink Bias occur ? save time in decision making by avoiding voicing opinion, suggestion, idea, etc. At the outset, the unanimity in decision making is the best indicator of Groupthink. Illusion of invulnerability - complacency kicks in within the group leading to an attitude of over optimism and risk-taking. As a result of their earlier successes and great bonding within the group, the group starts to feel insulated from any dire consequence irrespective of the choice they make or the decision they take. Belief in inherent morality of the group - Because of the presence of extreme cohesiveness within the group, a false sense of belief about being morally correct always, creeps in which further leads to an illusion of rational decision-making. Collective Rationalization - the false sense of self-belief prompts the group to overlook any warning signals whatsoever and this leads the group to never questions their existing assumptions or beliefs. Direct Pressure on Dissenters - The member who don't agree with the group's views are coerced and ultimately compelled to agree to the group's views. Collapse of Nokia and Blackberry as phone giants - Both Nokia and Blackberry were phone giants in their own segment but presence of symptoms like illusion of invulnerability, belief in inherent morality of the group and collective rationalization led to their fall. Experts from outside be invited to ensure an impartial assessment of the discussion during meetings. Inclusivity always pays rich dividends ! Between the "pleasant" and "unpleasant" significant events from your life, which one are you able to feel more of whenever remembered/ recalled ? 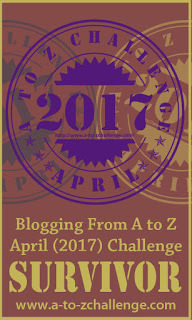 From a "not-so-pleasant" significant event that occured in your life which could be something like a long-awaited vacation, a job/ business opportunity missed, an argument/ interaction that had life impacting implications, or any other significant event from life, again, what are you able to feel more/ most whenever remembered/ recalled ? Well, if you have never given the above a thought, then most likely your first guess would be that you would recall/ remember more of the "unhappy memories" rather than the "happy memories" but to your surprise, the results from the various studies and research in the area proves out to be contrary, which means it's the "happy memories" that we remember/ recall more of ! The definition of the Fading Affect Bias goes like this - "The intensity of affect (feelings) associated with negative memories fades faster than the affect (feelings) associated with positive memories." Elaborating it further - the affect prompted by autobiographical event recall typically decreases in intensity as time from the original event increases. But, the extent to which the intensity fades is different for positive events and negative events. The intensity of the emotions felt during event recall as compared to event occurence, tends to fade faster for negative events than for the positive events. This differential fading of affect over time between negative and positive event is referred to as the "Fading Affect Bias" (FAB). So, between the time of the actual happening of the event and its recall, the memories start fading for both the negative and positive event but when it comes to feelings associated with these events/ memories, then we see a difference in fading. The feelings associated with negative memories tend to fade faster than the feelings associated with positive memories. 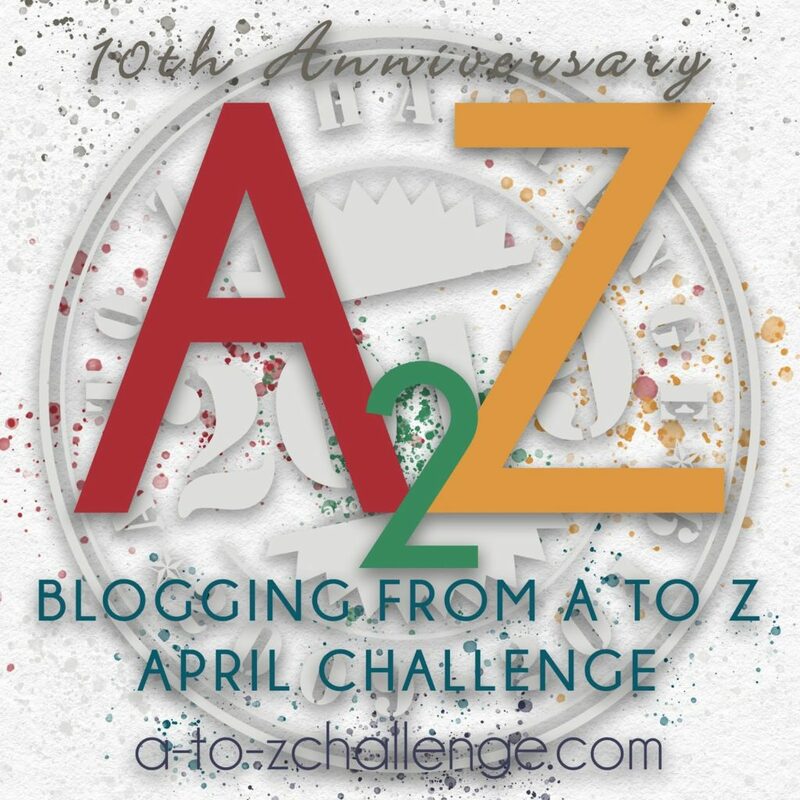 (Autobiographical Event/ Memory - Simply defining, any significant event that makes our personal history or timeline is an autobiographical event and any memory related to that is termed as autobiographical memory). The earliest reference to this bias (Fading Affect Bias) is of Cason (1932) whose data suggested that emotions prompted by positive event maintained more of their intensity across time compared to emotions prompted by negative event. The "modern era" of FAB research is attributed to Walker et al. (1997) whose key findings were that humans may become selective in their memory of the event and certain memory may fade off but the emotions related to the event remains intact. Further research on FAB is attributed to Ritchie et al. (2009) whose study identified four possible trends pertaining to memory - Fixed Affect, Fading Affect, Flourishing Affect and Flexible Affect. 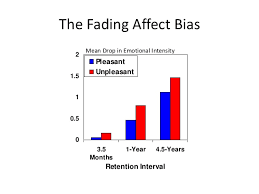 The study revealed that Fading Affect was more prominent (51%) as compared with the other three when it came to negative occurences, which means that Fading Affect came into play during memories related to negative events. Why Does Fading Affect Bias (FAB) occur ? Recalling of positive events is generally stronger than that of negative events and emotional response prompted by positive memories often tend to be stronger than the emotional response prompted by negative memories. Evidence also highlight that over time, we may tend to start perceiving even the negative events in a more positive way. Developing attitude of seeing the best in any situation. Not every person may exhibit FAB. People suffering from dysphoria (mild depression) may perceive their lives to be more negative than the lives of others. In the case of people having dysphoria, the memory is less detailed. Seeking the silver lining in every cloud ! Well, Aren't we all fond of listening about "self (me, myself)" and don't we all enjoy being the center of attraction or attention always? I am sure the answer to the above is an emphatic "YES". when you felt that your feelings and behaviour was as apparent to everyone else as to you. when you felt obsessed with your opinion/ advice and couldn't fathom existence of any contrary opinion and advice. plus numerous other instances when you felt/ thought that you were the cynosure of all eyes and that every discussion happening around was about "you". The above pointers are a clear testimony of our inherent desire to feel "special" and this is exactly what makes up the bias known as "Egocentric Bias". 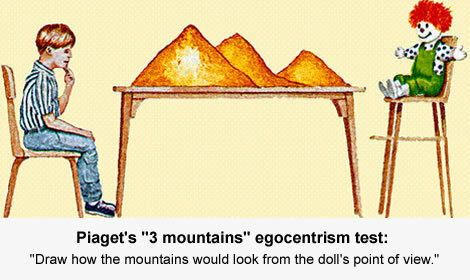 Simply put, "Egocentric Bias" is the tendency to rely too heavily on one'e own perspective/ POV (point of view) when examining or remembering events in our life. In this bias, we tend to develop an inflated sense about ourself and suffer from a constant need to satisfy our own ego. The term "Egocentric Bias" was coined in 1980 by Anthony Greenwald, a psychologist at Ohio State University. He described it as a "phenomenon in which people skew their beliefs so that what they recall from their memory or what they initially understood is different than what actually occured". when we start experiencing life through a "self-centered" filter and start assuming that every discussion happening around is about me and that people are paying as much attention to "me" as i am paying to "myself"
Why/ How does Egocentric Bias occurs ? 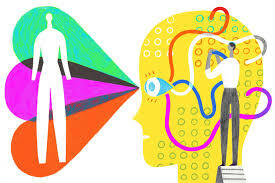 Studies show that it's far easier for people to remember information is it has reference to them and that's precisely why we tend to recall information that has reference of "me" or "myself". A case in point is "episodic memory" which we are able to recall with ease because of its autobiographical characteristic. Egocentric Bias occurs as a result of the reality that every individual has sole access to a vast amount of information about themselves which others are not aware of even and it is this vastness that impacts our perception and perspective (views and opinions) on various issues, situations and experiences. So, "EGO" sits pretty much at the center of the egocentric bias and plays a guiding role during memory access and recall. 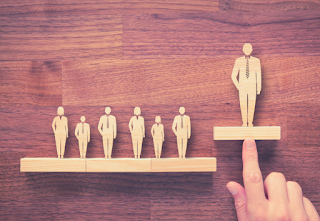 Egocentric bias influences the way we process and remember information and adversely impacts our personality in many ways, both personally and professionally. Whether its about demonstrating good leadership, collaboration or coaching/ mentoring others, egocentric bias has a real impact on these. leads to "memory distortion", a neurological phenomenon of making events larger than life in our mind, in our bid to feed our ego. Being able to identify the "blind spots"
Focus on networking with others and getting involved in projects involving groups/ teams, with diverse expertise/ experience. This may generate a tendency to work collaboratively in diversity and also generate memories involving others, and not just self. Practicing gratitude helps become grateful to things and people outside "me/ myself". Keeping a journal could be the easiest way to do so. Well, the timing is always right to break this illusion of (you/ me) being the center of the Universe and come to terms with reality ! 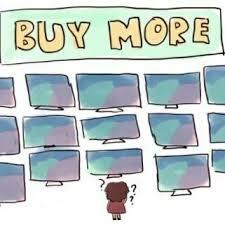 What did you do when you went shopping for a big, new TV that fitted your requirement and budget pretty well but ended up comparing it with other high end TVs that were costlier/ slightly costlier than the one you had earlier selected for buying ? What did you do when you went to buy a smartphone that matched the specifications you needed but ended up considering the other costlier smartphone with better features ? What did you do when you had two offers for job - one that matched the profile and salary that you wanted and the other one which had an entirely different profile but the offering a 10-15 percent hike in salary ? I believe, in all the above mentioned instances, for most of the time we ended up buying the costlier product, even when there was no marked difference in what we went looking for and we could have safely opted for our earlier choice. Now, the real food for thought here is - why did we end up buying the costlier option instead of the one that matched my need pretty well ? Well, the answer is that we ended up taking decision under the influence of bias known as "Distinction Bias" and instead of "best fit", got lost in the "problem of plenty" ! Distinction Bias is the tendency to over-value the effect of small quantitative differences while comparing options. This means that when we compare similar options/ choices, we often place a higher emphasis on inconsequential quantitative differences and pick an option that won't actually maximise our level of happiness/ satisfaction. Just Consider that on day you went out to buy some fresh fruits and just when you were about to select, say a set of fresh apples, the fruit seller presented you with another set of apples which just had an additional "international quality" sticker on it. Both the set of apples were fresh and similar but still you ended up buying the set with sticker on it because of the assumption that it would turn out to be better than the one you had selected earlier. Now, this is a scenario where "distinction bias" came into play and affected your judgement. Likewise, there are plenty of instances which we may be able to recall from our daily routine where "distinction bias" affected our ability to make the best decision. Why & How Distinction Bias Occurs ? Humans are bad at predicting how quantitative differences affect happiness and we tend to place a higher emphasis on inconsequential quantitative differences that doesn't actually maximise our happiness. direct comparison. The moment we start placing the options together to compare the differences is when distinction bias starts creeping in our judgement and decision making. The concept of "Distinction Bias" was introduced by Hsee and Zhang (2004) in a research paper in the Journal of Personality and Social Psychology to explain why people evaluate objects differently when evaluating them jointly, as opposed to separately. So, when in comparison mode, we are making choices through Joint Evaluation (JE) where we place the options together and note their differences. On the other hand, when in experience mode, our actual experience is happening through Single Evaluation (SE), which refers to the option that matches our requirement completely. When Joint Evaluation (JE) preferences get imposed on Single Evaluation (SE), that's when the distinction bias happens and this shift in perspective between evaluation and experience(use) creates the disconnect. When Distinction Bias happens, it causes us to shift our focus away from the issue to be addressed/ problem to be solved and instead focus on evaluating the minute differences of the options presented to us. 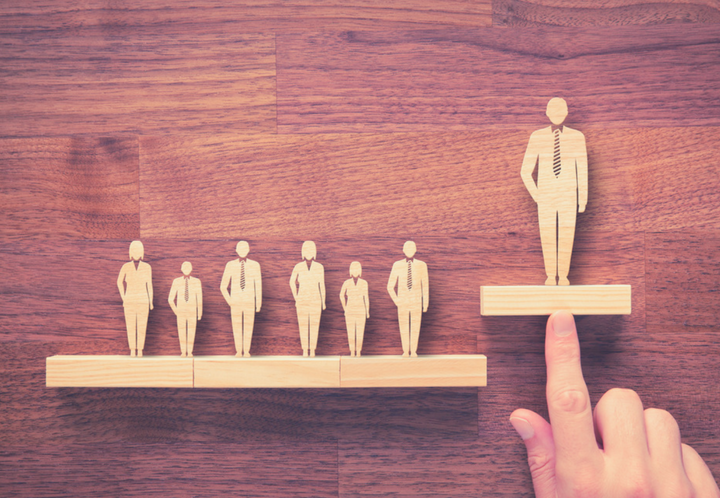 Distinction Bias occurs regularly during our shopping experience and marketers exploit this tendency of ours to their advantage. Practice the concept of "Satisficing", which refers to a course of action meant to satisfy the minimum requirements necessary for achieving a goal. "Hedonic Adaptation", where we can curb our urge for achieving more pleasure through a so called better lifestyle. Let the "problem of plenty" not undermine the value and happiness that a singular could bring ! Which is your preferred political party ? Which candidate would you vote for in the coming elections? Which is your favourite car brand ? Which brand do you always shop for ? Which is your preferred school/ college/ university for sending your kids to ? Which is your favourite place for vacation ? Well, the above list can go on and on and we can keep listing our most preferred choice. But ever wondered, what makes a certain brand or a certain choice our preferred brand/ choice always ? 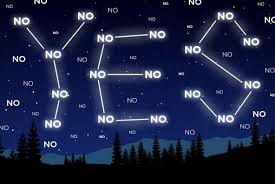 - Well, the answer is that we don't let it become anything else, neither second/ third choice, nor a non-preferred choice inspite of any contrary evidence, empirical or otherwise ! This tendency of ours to hang on to our preference/ choice under any circumstance, is an indicator of presence of a bias known as "Confirmation Bias". When afflicted with this bias, we just don't let go of our affiliation to our preference/ choice. "The human understanding when it has once adopted an opinion (either as being the received opinion or as being agreeable to itself) draws all things else to support and agree with it. And though there be a greater number and weight of instances to be found on the other side, yet these it either neglects and despises, or else by some distinction sets aside and rejects, in order that by this great and pernicious predetermination the authority of its former conclusions may remain inviolate". 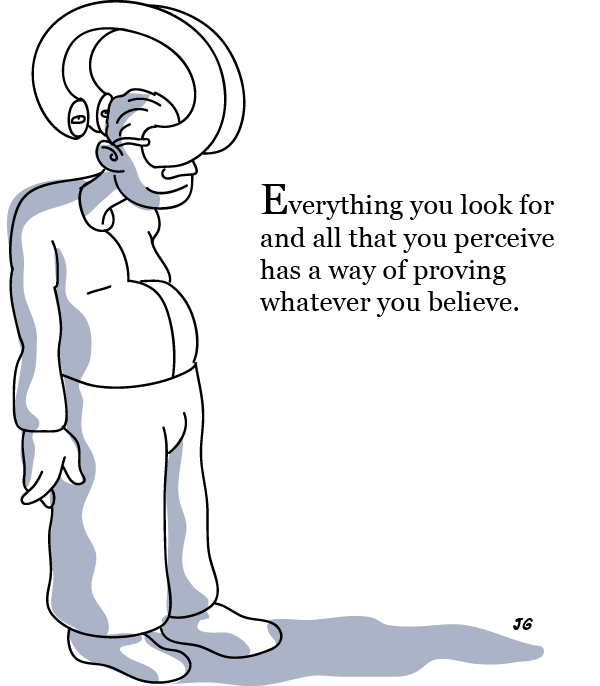 Simplifying the above for the sake of better understanding, the "confirmation bias" is our tendency to interpret and infer new information in such a manner that it aligns with our existing beliefs and dispositions. When affected with confirmation bias, we tend to filter out any new information that contradicts our existing view and only look for evidence that stand in support of our existing beliefs. 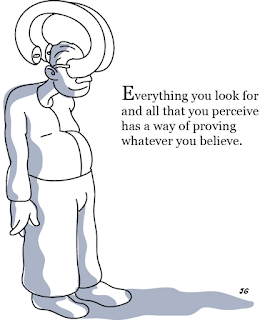 The term "confirmation bias" was coined by English psychologist Peter Cathcart Wason (1924 - 2003), who, in 1960s performed an experiment, popularly known as Wason's Rule Discovery Test, https://bit.ly/2Udslb3, where he challenged the subjects to identify a rule applying to a numbers specific problem/ task.The test proved that most people do not try to at all to test their hypothesis (most of the subjects established the same hypothesis) critically but rather to confirm them. Most of the subjects in the test tried solutions to prove their hypothesis and very few tried solutions to disprove their hypothesis. Why this Bias Occurs ? 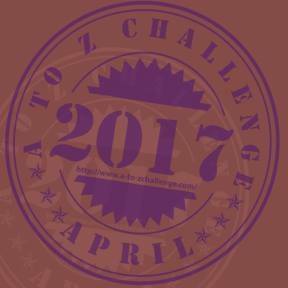 Preference to remain in Comfort Zone - Challenging the existing beliefs would mean moving out of the comfort zone to gather and apply evidence to prove contrary of our existing beliefs. limiting our ability to absorb/ process new set of information.